The humble toothbrush might not be the most exciting thing in your life, for many of us using such is a necessity rather than a desire. However from time to time there are innovations that may us think again about our dental health and what we are using to brush our teeth. Plastic use and the massive amount of plastic waste, is a very important topic at the moment. Dental recommendations are to normally replace a toothbrush or brush head every 3 months. As small as the item may be it is contributing to that waste. What if there was a solution that could double the amount of time we could use a toothbrush for and in turn have a positive impact on waste? Well Boie USA have produced a manual toothbrush that they feel will do just that. You can find all about it below in our Boie toothbrush review. Boie USA started out as a Kickstarter campaign, looking to raise $10,000 to bring the brush to market. They raised over $93,000. It is therefore clear that something that Boie offered touched people enough to back it. Was it the fact it was BPA free? The brush heads needed replacing only every 6 months rather than 3? Or perhaps because it is toted as being 100% Recyclable, which we’ll cover in more detail below. But whatever the reason, it has allowed the company to prosper and now in January 2018, a couple of years on, I am taking a look at version 2.0 of the Boie USA toothbrush. 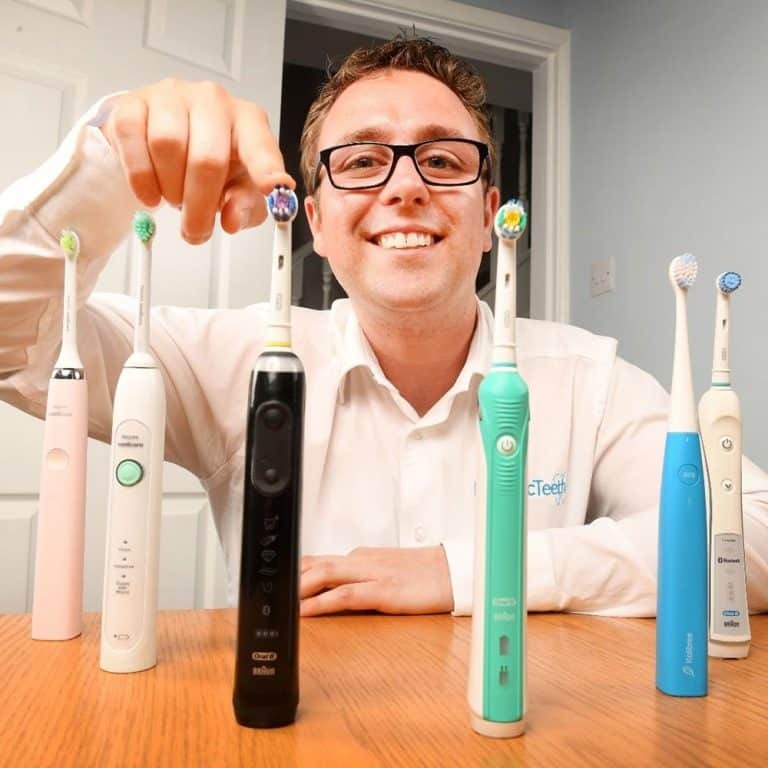 Boie toothbrush is advertised as being ‘100% recyclable’. As mentioned above, this could be an important selling factor for some so we’ll take a look at this before the performance of the brush. In a world where there is ever-growing plastic waste, it’s good to see a toothbrush offering that is ‘100% recyclable’ — increasingly this is an important selling point for environmentally minded consumers. So 100% recyclable is a step in the right direction – but what does this actually mean, and how does it compare to other toothbrush offerings? For a start it’s important not to confuse recyclable with biodegradable or compostable; not that that’s what Boie is trying to convey, but it can be an easy mistake to make. 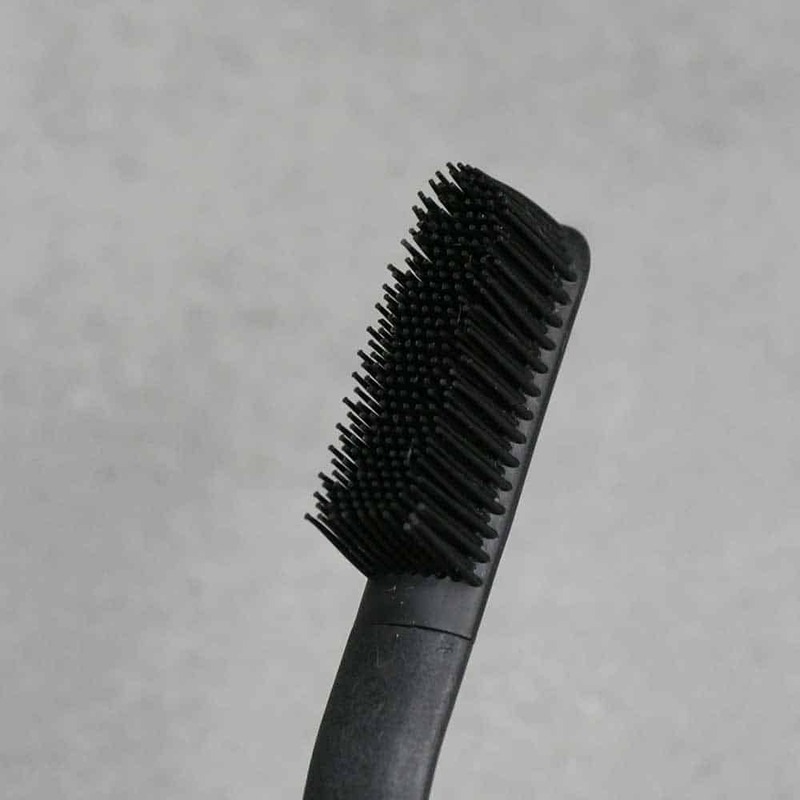 If you are looking for a biodegradable brush, you may like to consider a charcoal toothbrush. The Boie USA Toothbrush handle falls under recycling code number 5. The Boie USA Replacement head fall under recycling code number 7. Please note that not all local waste facilities have the capability to recycle these materials. Because of that, we also run an in-house return and recycle program! You can ship your used toothbrush and replacement heads directly to us, we’ll then forward them to our partners who have full recycling capabilities for all of our products. Please email us at help@boieusa.com for more information. From what we understand, in the USA products with recycling codes 5 and 7 can mostly be included with kerbside recycling. However, if you are unsure if your local authority can recycle these products, you can ship them back to Boie and they will ship them to their recycling partners. In terms of knowing how or what various plastic is recycled into, part of the challenge with the codes is that they group several different types of plastic together. Furthermore code 7, which is what the Boie heads are made of, is regarded as the miscellaneous category – it groups together plastics that don’t fit in recycling codes 1 to 6, making it even harder to tell how well they recycle. TPE materials have the potential to be recyclable since they can be moulded, extruded and reused like plastics, but they have typical elastic properties of rubbers which are not recyclable owing to their thermosetting characteristics. With regards to the brush handle, it is recycling code 5, which is for Polypropylene (PP). A combination of Polypropylene and TPE isn’t uncommon for toothbrushes, but perhaps the way Boie has combined them and made the heads detachable has given them the means to recycle them ‘100%’. In some ways then the ‘100% recyclable’ tag could be overstated, but we don’t want to take away from a progressive model (reduce the disposal of toothbrush handles, and recycle the brush heads as best possible) in an industry that currently lacks similar options. According to this article: “In the United States alone it is estimated that between 850 million, and over a billion toothbrushes, representing more than 50 million pounds of waste, are discarded and end up in land fills every single year” so in advertising their brushes as 100% recyclable, at least Boie may be making people aware that their brushes can be recycled rather than going to landfill. What are the benefits and drawbacks to Boie? Design – Slim in the hand and lightweight too. Brush heads – Change less frequently and less abrasive on the teeth and gums. Subscription – A useful option for some for regular brush head delivery. Packaging – Simple and environmentally friendly. Design – The flat profile is a little odd in hand and not necessarily as strong. Brush head – It is larger than most other brushes I have used. Bristles flex a lot and not sure how well they will retain their structure. Concept – Great concept but needs millions to adopt to have impact. Boie 1.0 vs Boie 2.0 – What are the differences? For the most part of this review I am looking at and commenting on the Boie 2.0 the newest version of their brush. However I will make reference to and highlight the differences with version 1.0. Version 1.0 bristles has a tiered design. 2.0 are now one seamless and tapered piece from the base to the tip. This is to allow more of the bristle to be in contact with your teeth as you brush and remove more plaque. 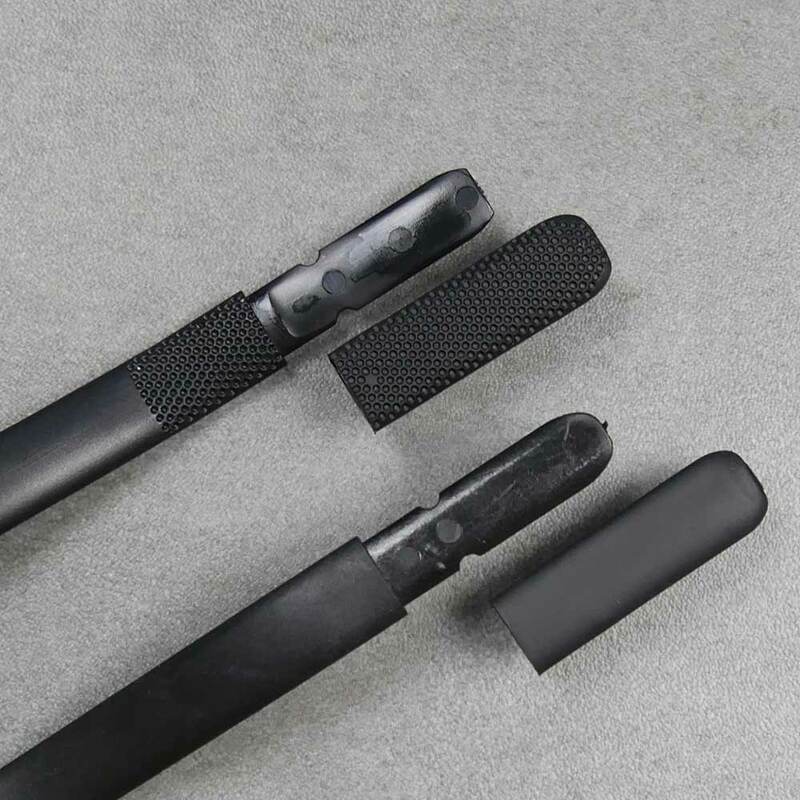 2.0 contains a stronger material in the handle which makes it more durable and sturdier than version 1.0. The dimples at the top of each handle and brush head have been removed. The blade insert is thicker now as to provide more support for replacement heads. 2.0 brush handles have a matte finish compared to the glossier finish on on version 1.0. The manual toothbrush still has its place despite the benefits of an electric toothbrush being well documented. Brushing twice a day for 2 minutes with any toothbrush is significantly better for you and your oral health than not doing so. So what about making Boie your toothbrush of choice? The first thing you notice is how different it looks. OK, it does not look significantly different to manual toothbrush but there are some subtle differences that set this brush apart. Whilst we are looking at version 2.0 of the brush, an iterative improvement on 1.0 there is only 1 style of of Boie brush. Unlike many other brands that offer about 10 different styles of toothbrush you get just the one here. It comes in 4 different colour options, Black, Pink, Red and Blue. It is nice to have a little choice to reflect your personal preferences. It also comes simply packaged in an environmentally small cardboard sleeve. Where many brush handles are more rounded, the Boie has an almost flat look to it, although there is a very slight curvature. The best way I can explain or compare it, is the Boie is more like holding a lollipop stick that might hold an ice cream. It is thin and whilst not uncomfortable in hand was a bit unusual and I would have liked a bit of a softer edge to the handle. Having said this, the flatter front and back actually helps give a surface for a thumb or finger to grip to and help with the actual brushing. What is clear from having used version 1.0 and now 2.0 is that the brush handle is much stronger. There is still some flex to it but better than 1.0. I would suggest a more regular manual brush is stronger still but they tend to be made from more plastic, something Boie are trying to reduce. To the brush head then. This is where things get really interesting. A regular toothbrush that most of us are used to uses plastics and nylon bristles that are not great for the environment. They take a long time to break down and the plastic particles are getting into the ecosystems around us and having damaging effects on animals and long term on us humans. Given that normally a toothbrush or a toothbrush head is replaced every 3 months, according to Boie, this equates to 50 millions pounds, or 25,000 US ton each year. If anything can be done to reduce this, then this has to have a positive effect and here is where Boie comes in. The brush heads are user removable and replaceable, which is unusual for a manual toothbrush. Usually you dispose of the whole brush, not here, just the head. Very similar to an electric toothbrush. BPA and phthalate free, the heads are made from a thermoplastic-elastomer. Essentially it is a rubber like material that behaves in a similar fashion to regular nylon bristles. They are said to be soft and less abrasive on the tooth enamel and the gums. My own hands on use would confirm this to a point. When brushing I felt no pain or discomfort. To me, whilst to the touch they feel a little softer, when brushing they do not feel much softer than regular bristles, when actually brushing. I do not suffer from sensitivity, but someone who does may notice a difference. I have no way of measuring how abrasive they are and there is limited research into this. Given they did not cause any discomfort when brushing, initial observations would be that they are not going to do any more damage than a regular, tried, tested and recommended toothbrush. Being BPA free, for those who are concerned about the possible effects of this substance, can rest easy knowing that the brush does not contain such. The bristles have an antimicrobial property to them. They are actually embedded with silver during the manufacturing process which helps kill of bacteria and keep the head clean. 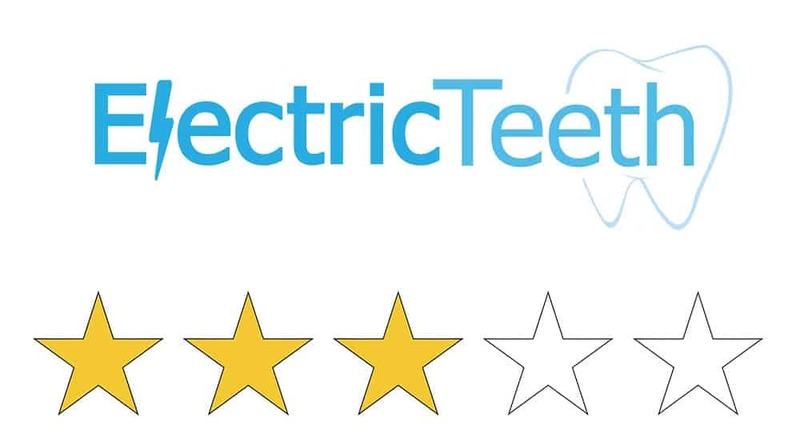 It is a combination of the design and built that enables this brush head to be used for up to 6 months, essentially doubling the usage time compared to a regular toothbrush. The average toothbrush can contain over 10 million bacteria or more— including E. coli and staph. Positively charged ions in Silver are attracted to the negative charges on the bacterial membrane. Those ions help punch holes into the bacterial membrane until the cell is destroyed. The antimicrobial formula Boie use has undergone rigorous laboratory testing under ISO 22196:2011. The ISO test measures the growth of bacteria within a 24-hour period on the tested surface. So it it not just marketing spiel! The brush head itself is larger in my mind than most other toothbrush heads. Whilst this covers more teeth when brushing, it can make it harder to reach the very back of the mouth in particular. I could get to them, but it did not feel quite as easy a smaller brush head. Post clean my mouth felt fresh, but I can’t say that the clean felt as invigorating as that with an electric toothbrush. I feel like they achieve a deeper clean. This is personal opinion and subjective and I have no evidence to confirm or deny this. Whilst the bristle design is also different, I could not feel a difference in everyday use. What I did notice even within a few uses is that the bristles have moved and bent a little more than I would have expected. Bristles naturally flex, but the nylon bristles on all brushes I have used tend to keep true to their position for longer. With the Boie, the bristles have started to part and flex a little more than I would have expected. Over the 2 weeks I used this brush, the brush head was still in a relatively good shape, but I can’t say what it will be like in 6 month’s time and whether you will feel like it should be replaced sooner or if it will clean as well. Compared to the version 1.0 variant, 2.0 has has done away with the dimples that adorned the back of the brush head and the very top of the brush handle. These were catching moisture and toothpaste was drying to leave an unsightly residue. Whilst this is no longer an issue, I did notice moisture was getting up inside the brush head where the head detaches. I doubt this will be a big issue, but over time the moisture will build up and become stagnant inside and may form bacteria. It is one to watch out for. The head pulls off nice and easily but it does not come off during brushing at all. It has been well designed and it certainly psychologically feels better throwing just the head away rather than the whole brush. Whilst this is more environmentally friendly, to have any significant impact millions of people need to be taking this approach, rather than the few thousand that are likely customers of Boie at the moment. The brush heads also need to last 6 months. My personal feeling is I would be switching out sooner. However, things need to start somewhere so kudos to Boie for that. You can buy heads from their store or you can now subscribe to have them delivered, which is an added convenience. Boie is not yet stocked in major retail outlets so accessibility to the brush and the heads is primarily via shopping online. Where some subscription services ship the heads every 3 months for example, Boie complete a single shipment once a year, to be greener in their approach. They offer varying pack sizes depending on how often you want to swap out your heads or if you have multiple brushes in the home. When you subscribe, every year your new pack of heads will be shipped out. The cost of replacement brush heads work out at $5 each. This is not all that bad and on par with a manual brush or a brush head for an electric toothbrush. The only problem is you still need to remember to replace them! Made in America, not only does this give something back to the local communities it saves on the associated costs and pollution that comes from having such products made overseas. The cost of Boie is $12 with replacement heads costing $5. The initial brush cost is a fraction higher than I would like or expect, but you do get included a brush head that in theory lasts 6 months and you get the extra value from knowing it is made in the USA, is BPA free and better for the environment. The $5 cost for a replacement head is about what you might pay for a regular manual brush and given that it will last twice as long over the years you will make savings as a result. You may too favour the clean and take pride in knowing you are doing good for the environment. The annual brush head subscription plans are a nice touch too. Have 2, 3 or 4 heads delivered to your door once a year, equipping you with all the heads you need. Boie claim too that a proportion of their profits go to charities and helping those with disabilities get healthcare. It is not clear how much, or if at all Boie have made donations, but good to know that they are keen to help others and be a bit more socially responsible than some of the other big companies who can overlook such. It is also worth noting that Boie do ship internationally too. The Boie toothbrush (available to buy here) is an interesting proposition. The actual brushing experience was similar to a regular brush, albeit I would prefer a smaller brush head. For me, even without clinical trials and testing to really evaluate the effectiveness and reliability of the bristle and brush head construction, I am a little concerned as to whether they actually work as effectively and last as long as is suggested. I don’t feel at the moment, the need to be screaming from the rooftops that everyone need use this in preference to a regular toothbrush. However I must give credit for an innovative and environmental approach to the issue of waste plastics. For this to make a real difference, millions need to be using Boie brushes, not the few thousand that likely are. Perhaps lessons can be learned and other manufacturers can look at offering replacement heads for a manual brush, or perhaps selling a manual brush with a year or mores head included. This way the number of brush handles produced can be reduced. Charcoal toothbrushes: what are the benefits and which is the best one? Do you own or have you used the Boie toothbrush? I enjoyed your review – and will not be buying the Boie as a result. My website and yours are sort of brothers… search for “toothpaste museum” and you’ll find it.